With Inventory so low houses like this one are bound to move fast!! Beautiful 2 BR, 1.5 Bath Ranch on a Corner Lot Near the School! The main level measures 1, 040 sq. ft. and features: Great Dine-in Kitchen w/ Appliances Included, LR w/ Fireplace, 2 Good Sized BRs & Full Bath w/ Whirlpool Tub/Shower. The main level has all New Carpet & has recently been painted so you can just move in and enjoy! The LL is ready for you to finish to your liking w/ some walls already studded up for you. 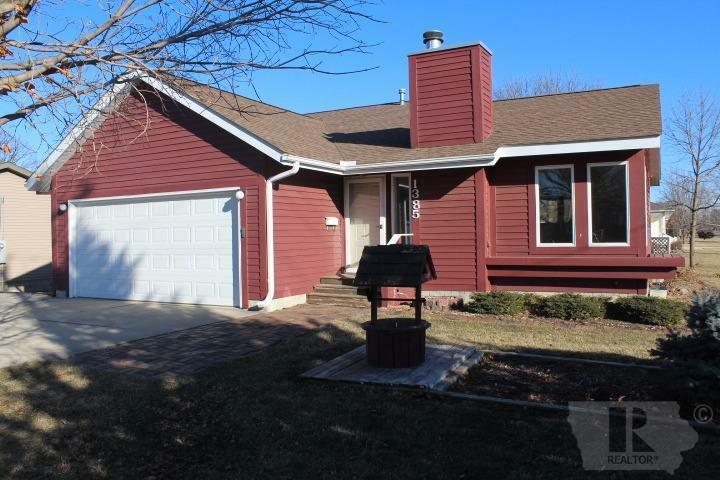 The Exterior has recently been painted and features: Great Deck, Water Feature, Newer Roof, Storage Shed, 2-Att. Garage & Extra Pad of Concrete for Parking. All of this on an Oversized 83 x 132.5 Corner Lot in a Location that is sure to please!! Showings are delayed for 1 Week to remove some personal items, but call today to get on the list and get a shot at this great home before it's gone! !